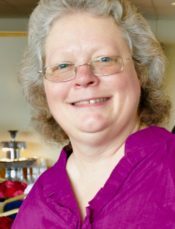 Connie Dean Mayo Mayne, 54, of Pensacola, FL passed away November 6, 2018 in Orange Park, FL. She was born in Fort Dix, New Jersey and has been a resident of the Pensacola area for 43 years. Connie worked at both Rex TV and the Brownsville Army/Navy Store for many years. She was also a member of the Myrtle Grove United Methodist Church. Connie is preceded in death by her parents, James D. Mayo and Shirley L. Mayo. Left behind to cherish her memory are her son, John Mayne; brothers, Jim Mayo, Carl Mayo (Tammi); grandchildren, Nevaeh Mayne and Hailey Mayne. The family would like to express their special thanks to The Haven Hospice Care in Orange Park, Florida. Visitation will take place at Pensacola Memorial Gardens Funeral Home from 12:00-1:00pm Saturday, November 17th with memorial service to follow at 1:00pm. Such a sweet and courageous woman. Heaven gains a bright and shining soul! Fly free Connie. You taught me to always “Have Faith”. I will always remember you and your wonderful smile!! Connie was my neighbor and my friend,she was always available in my times of need with wisdom and encouragement.I surely miss her enlightened spirit and the laughter we shared.she will remain in my thoughts as one special person whom I was honered to know.